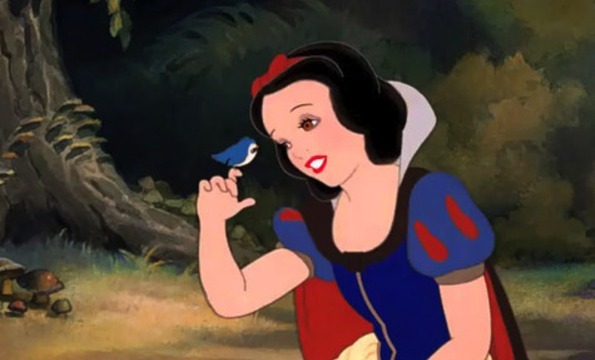 Those of you in the know will think that I am late to the party, but I have finally decided to comment on the Snow White Wars. I know, you’re totally excited!! For those of you who might have missed it, there are two live-action feature films based on the Snow White story coming out next year. Yes, two. I have been keeping track of the whole affair, but haven’t really felt the need to comment, because there have often been two similar projects in the works, and a lot of the time one or both doesn’t end up panning out. However, in this case, both are definitely a go, and in the last few days, trailers for both have been released. And therein lies the interest, because wow, do these two movies look different. Let’s take a look. In this corner, we have Mirror, Mirror, a light-hearted take on the fairy tale, directed by Tarsem Singh (The Cell, Immortals) and starring Lily Collins, Julia Roberts, and Armie Hammer. My original thought on this one was that Singh has previously made movies that are visually arresting but usually not particularly great, Lily Collins is a total newcomer, but that I love Julia Roberts and find the idea of her as the Evil Queen hilarious, and Armie Hammer is nice to look at and listen to. Based on the trailer, what we’re dealing with is a fairy tale movie that owes a lot to movies like Ella Enchanted, Ever After, and to the television miniseries The Tenth Kingdom. It’s young, funny, and “updated” in its humor and references. Ms. Collins looks like Audrey Hepburn reincarnate, but she gets to be a little bit of a liberated heroine. Julia Roberts has what may be the worst accent ever, but I still don’t care, and Armie Hammer is indeed very nice to look at and listen to. Also, it’s shiny and pretty, and there’s Nathan Lane! Overall, I have to say that I am much more inclined to see it now than I was initially. The critics will likely pan it, and it won’t win any awards, but it looks cute and fun, a solid entertainment. Our other challenger is Snow White and the Huntsman, directed by first-timer Rupert Sanders, and starring Kristen Stewart, Charlize Theron, and Chris Hemsworth. On paper, this one seems much more interesting, but it’s gotten plenty of negative buzz from hipster movie bloggers because of its leading lady. I haven’t actually seen Kristen Stewart perform in anything, so I am willing to give her a pass, because let’s face it: Snow White isn’t a particularly complex character. The twist to the story is the selling point here, though, in that the plot revolves around Snow White training with the Huntsman so that she can go into battle against the forces of the Evil Queen. I also find it quite intriguing that there is actually a prince, played by Sam Claflin (PotC: On Stranger Tides). Seeing as the Huntsman is being played by current It Hottie Hemsworth, surely some kind of love triangle must come into play? I’d watch it just to see what they do with that. The trailer for Snow White and the Huntsman is pretty damn epic. It looks dark and gritty, and Charlize Theron is channeling Michelle Pfeiffer in Stardust, only she looks much, much scarier. I have to say about Chris Hemsworth that he’s not really my style at all, but I think he has got some serious star power. When he’s onscreen, you are just compelled to keep an eye on him, and it’s not just because of his abs. Ok, it’s partly because of his abs. Ms. Stewart, by comparison, doesn’t get a whole lot of screentime, which may be a wise move on the producers’ part. I think that ultimately, this version will come out the winner because it looks like it’s trying to appeal to multiple demographics, but the question is whether or not it can live up to the excitement of the trailer. So now, the question across the blogosphere is: Which will you see? Originally, I had been firmly in the Stewart/Theron/Hemsworth camp, but I am now pretty interested in seeing both of them. I really like that they are extremely different in their treatment of the classic story. Mostly, they both look like enjoyable films to watch. So that’s my stance, but what about you? Both? Neither? Which do you think is the fairest of them all? This entry was posted in News, Trailers and tagged Charlize Theron, Chris Hemsworth, fairy tales, fantasy, Julia Roberts, Kristen Stewart, Snow White. Bookmark the permalink. I’ve weighed in on both of these now that both trailers are out. Right now I feel like I’m willing to see the ‘Huntsman’ one on the big screen (yes despite K-Stew), but save the Tarsem’s version for rental. It’s interesting as initially I was sooo in Tarsem’s camp. I love The Fall and Immortals was quite entertaining. I’m sorry, but I can’t take Snow White in armor seriously, no matter who is playing her. That seems more of a parody than the Mirror, Mirror trailer. I’m more likely to catch Mirror, Mirror when it comes out on disk. I don’t know if I’ll ever see the Huntsman one. I am, by far, a bigger fan of Julia Roberts than of Kristen Stewart. However, I am far more inclined to see Snow White & The Huntsman! Tarsem Singh’s version just doesn’t strike my interest at all. Glad you analyzed and compared them both. Nice post!